Our engraved signs are long-lasting and durable, with mounting options for walls, doors and cubicles. The plastic engraving material features two colors, the base material color and the engraving color. Please Select a Size 1" x 2"1" x 3"1" x 4"1" x 6"1" x 8"1" x 10"1" x 12"1" x 14"1" x 16"1" x 18"1" x 20"1" x 22"1" x 24" 2" x 3"2" x 4"2" x 6"2" x 8"2" x 10"2" x 12"2" x 14"2" x 16"2" x 18"2" x 20"2" x 22"2" x 24" 3" x 4"3" x 6"3" x 8"3" x 10"3" x 12"3" x 18"3" x 20"3" x 22"3" x 24" 4" x 6"4" x 8"4" x 10"4" x 12"4" x 14"4" x 16"4" x 18"4" x 20"4" x 24" 6" x 8"6" x 10"6" x 12"6" x 14"6" x 16"6" x 18"6" x 20"6" x 22"6" x 24" 8" x 10"8" x 12"8" x 14"8" x 16"8" x 18"8" x 20"8" x 22"8" x 24" 10" x 12"10" x 14"10" x 16"10" x 18"10" x 20"10" x 22"10" x 24" 12" x 14"12" x 16"12" x 18"12" x 20"12" x 22"12" x 24"
Our acrylic engraving material features two colors, the base material color and the engraving color. 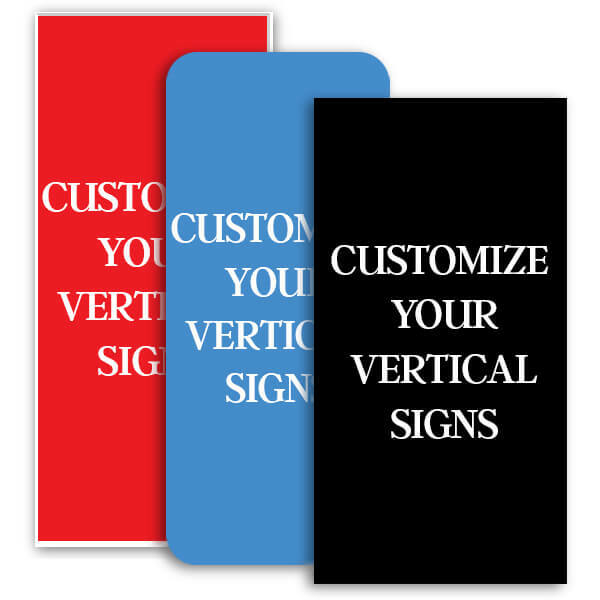 With over 40 color schemes to choose from, you can make plastic signs that stand out and feature your business colors. Please Select a Size 2" x 1" 3" x 1"3" x 2" 4" x 1"4" x 2"4" x 3" 6" x 1"6" x 2"6" x 3"6" x 4" 8" x 1"8" x 2"8" x 3"8" x 4"8" x 6" 10" x 1"10" x 2"10" x 3"10" x 4"10" x 6"10" x 8" 12" x 1"12" x 2"12" x 3"12" x 4"12" x 6"12" x 8"12" x 10" 14" x 1"14" x 2"14" x 3"14" x 4"14" x 6"14" x 8"14" x 10"14" x 12" 16" x 1"16" x 2"16" x 3"16" x 4"16" x 6"16" x 8"16" x 10"16" x 12" 18" x 1"18" x 2"18" x 3"18" x 4"18" x 6"18" x 8"18" x 10"18" x 12" 20" x 1"20" x 2"20" x 3"20" x 4"20" x 6"20" x 8"20" x 10"20" x 12" 22" x 1"22" x 2"22" x 3"22" x 4"22" x 6"22" x 8"22" x 10"22" x 12" 24" x 1"24" x 2"24" x 3"24" x 4"24" x 10"24" x 12"
Our engraved plastic material is durable and colorful, perfect for indoor or outdoor use. 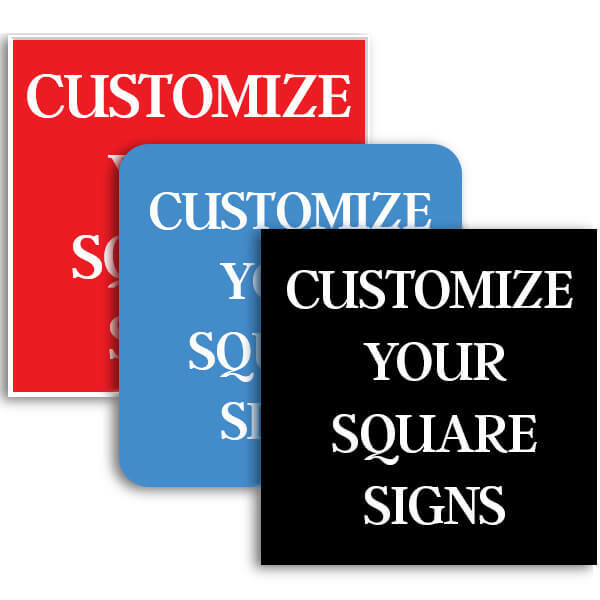 Use our customization tool to design your own plaques and signs! The final sign will be a two-color product. Make your own custom plastic signs at Custom Signs! Our high quality and durable plastic signs are designed for both indoor and outdoor use. Available in a variety of colors, these eye-catching engraved signs will stand out wherever you install them. Whether you are placing your sign on an office door or an exterior wall, we offer a variety of mounting options to suit your needs. If you need ADA signs, we can also make custom braille and tactile signs to ensure your business is ADA compliant. 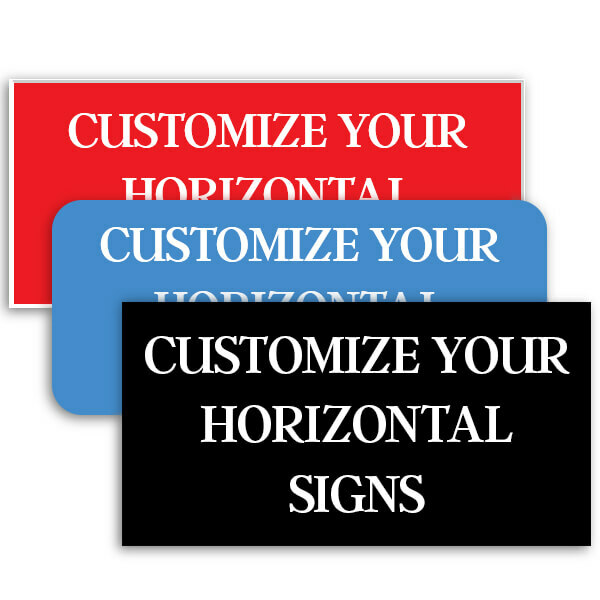 The Custom Signs Design Wizard allows you to make your own plastic signs from scratch! We’ll engrave your new plastic sign fast and ship it out next business day! If you need help designing or ordering your custom plastic signs, please contact our Customer Focus Team. They’ll be happy to answer your questions and assist you.